Available Challenge loader kits for Case IH tractors; Case IH DX range, Case IH DXE range, Case IH Farmall B range, Case IH Maxxfarm range. Available Challenge loader kits for New Holland tractors; New Holland Boomer 1000 range, New Holland Boomer 2000 range, New Holland Boomer 20-50 range, New Holland Boomer 3000 range, New Holland Boomer 4000 range, New Holland Boomer 8N range, New Holland Boomer D range, New Holland T1500 range, New Holland TC range, New Holland TZ range, New Holland Workmaster range. Available Challenge loader kits for John Deere tractors; John Deere 1000 range, John Deere 2020 range, John Deere 2R range, John Deere 3020 range, John Deere 3E range, John Deere 3R range, John Deere 4000 range, John Deere 4020 range, John Deere 4M range, John Deere 4R range. 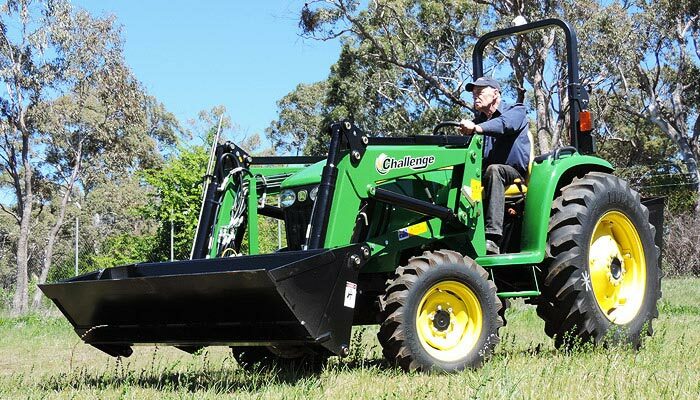 There are more tractor ranges available for our Challenge 21 Compact series front-end loader. Contact us to see if we can fit a front-end loader to your tractor model.